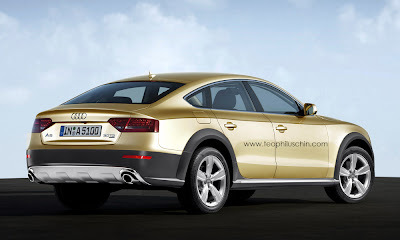 Are we looking at what could be the Allroad incarnation of the Audi A5 Sportback? These renderings certainly show that this car is more than possible to easily create and in our opinion, is a needed version of the new A5 Sportback. 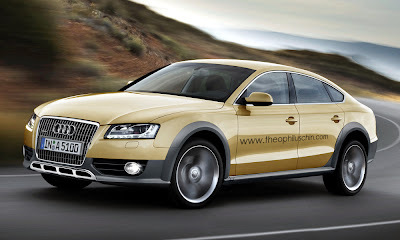 Theophilus Chin has created this rendering of what he thinks an Allroad version of the Audi A5 Sportback should look like. We think he's right on the money! As far as we're concerned, if this car is developed, it should look just like these renderings. Great job Theophilus! For more automotive renderings, check out Theophiluschin.com!